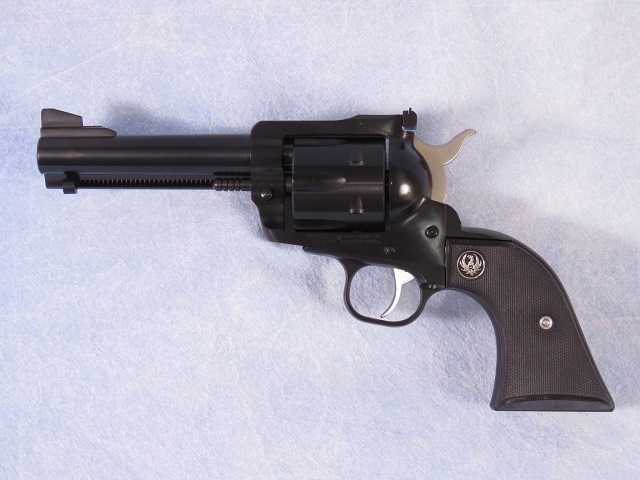 Ruger New Model Blackhawk single action revolver with convertible cylinders to shoot .357 Magnum or 9mm. This features a 4.625" barrel, blue finish, 6 round cylinders, western style black grips, and a adjustable rear and ramp front sight. Barrel Length - 4 5/8"